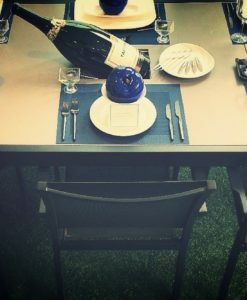 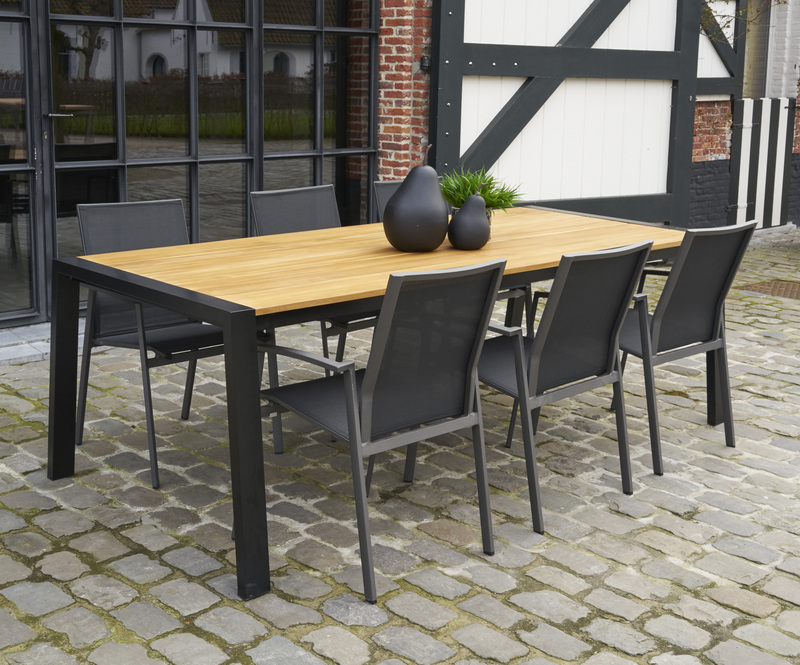 The modern aluminum teak extra long dining table is made from teak and hugged by a powder coated black or white aluminum frame. 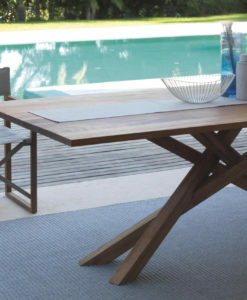 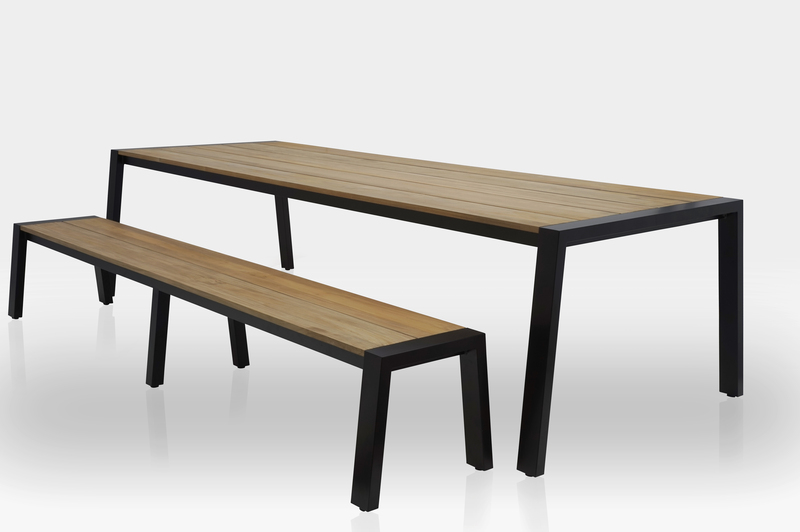 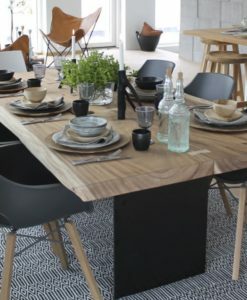 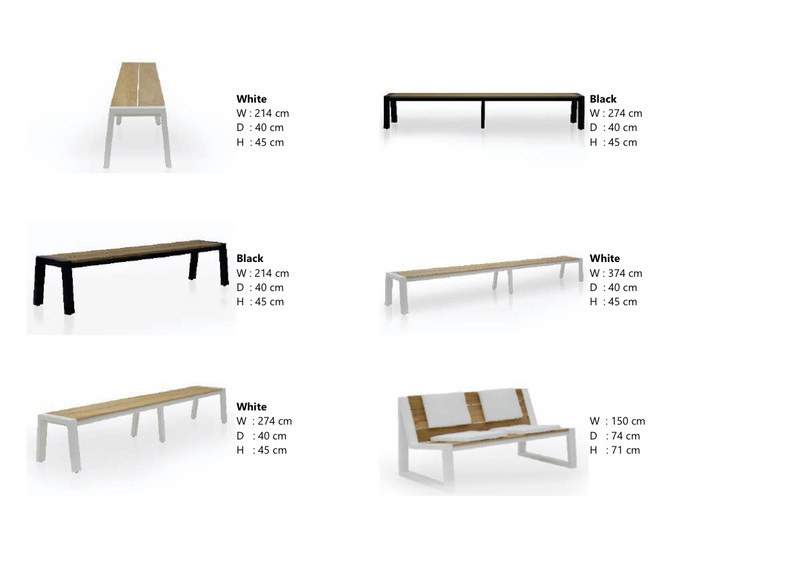 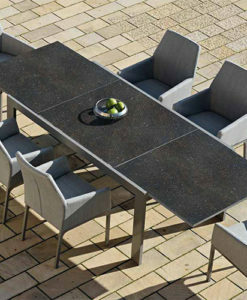 A variety of dining tables in multiple styles, available up to either 12 to 13 feet long! 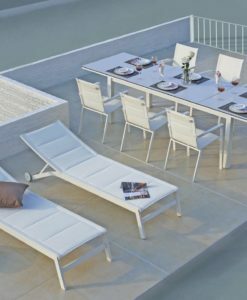 Impressive European design complete with club chairs, two or three seater sofa, coffee and side tables, coordinating bar and dining sets, plus decorative lanterns and planters, single chaises in teak or Batyline Ferrari mesh for quality and comfort. 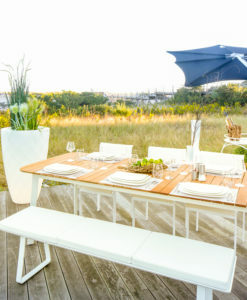 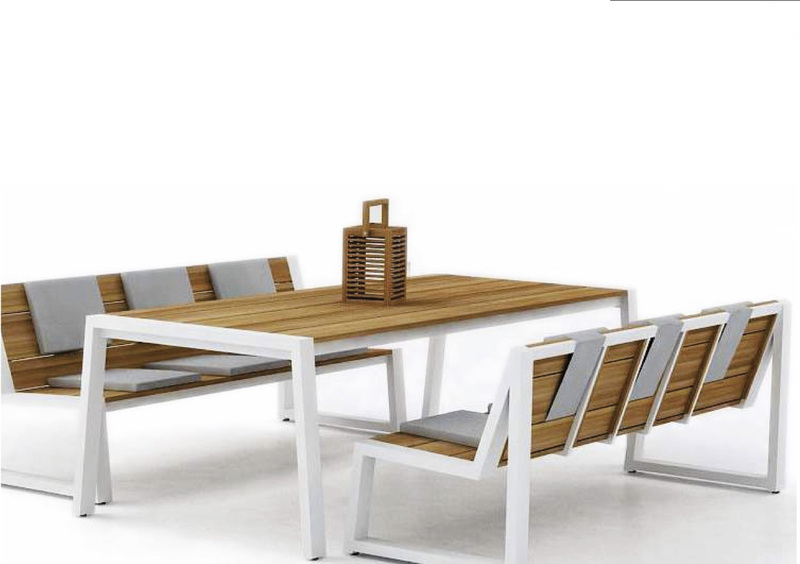 Modern aluminum teak extra long dining table is a combination of grade-A teak and powder coated aluminum. 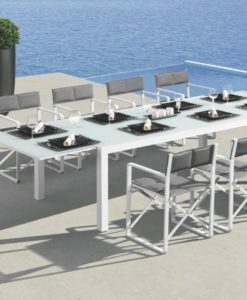 It displays a contemporary design with it’s flat and sleek surface all while illustrating a sophisticated flair. 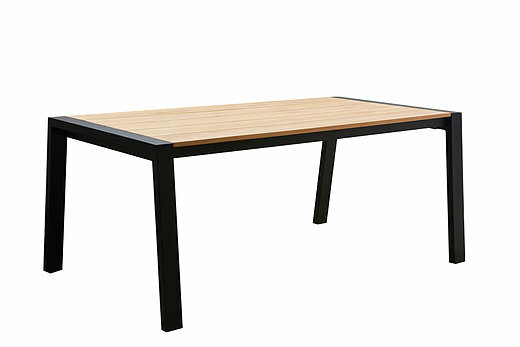 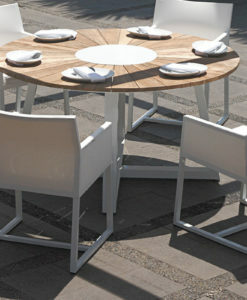 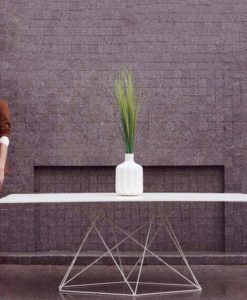 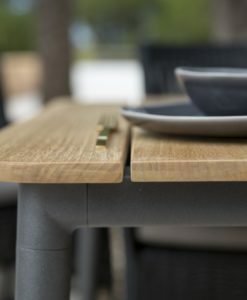 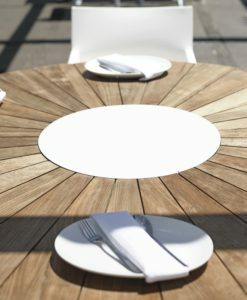 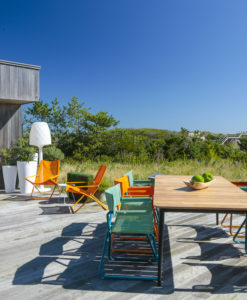 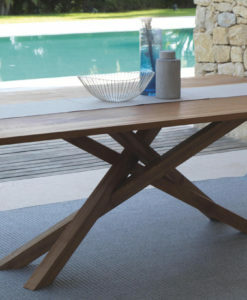 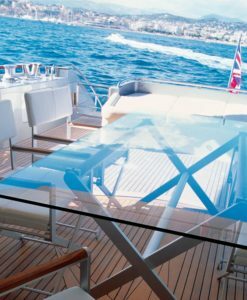 This rectangle table top is made from solid grade-A teak and is outlined by powder coated aluminum. 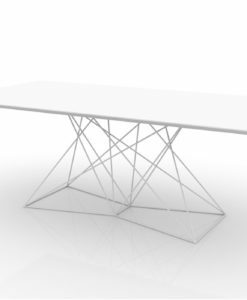 Available for you in either black or white. 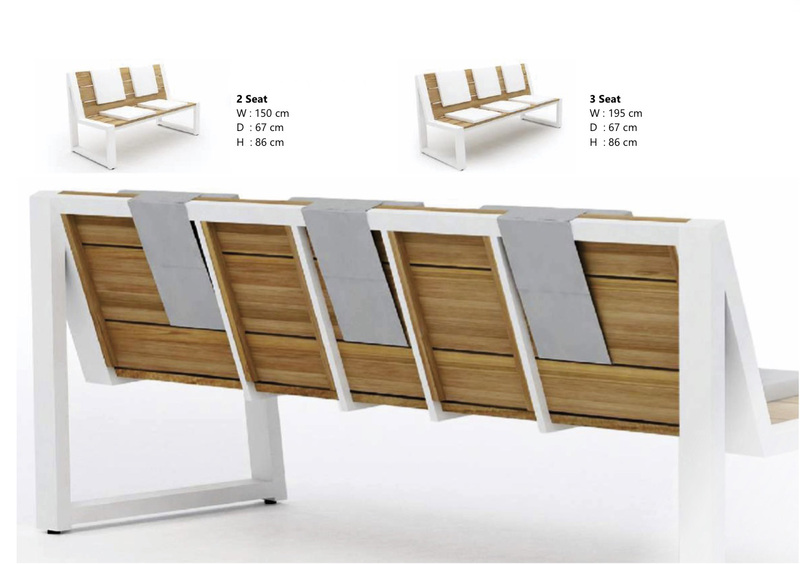 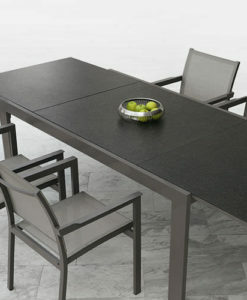 The modern aluminum teak extra long dining table is made from teak and hugged by a powder coated aluminum frame. 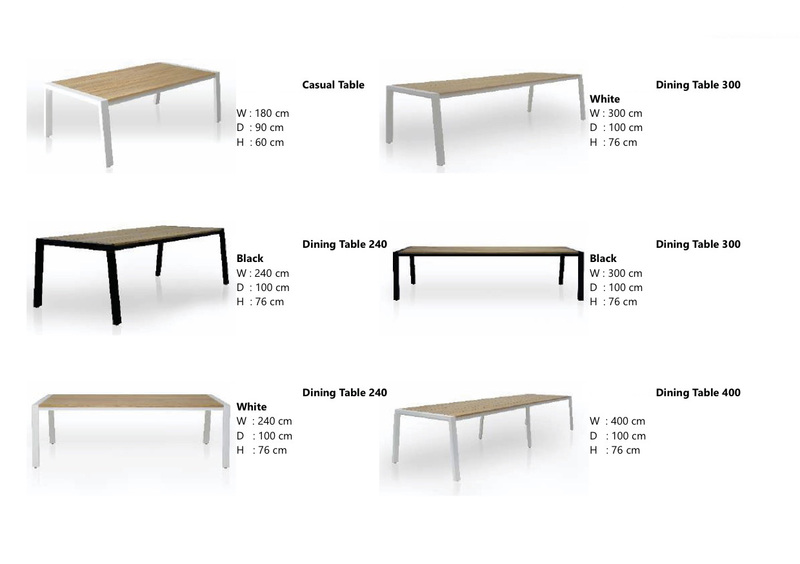 A variety of dining tables in multiple styles, available up to either 12 to 13 feet long! 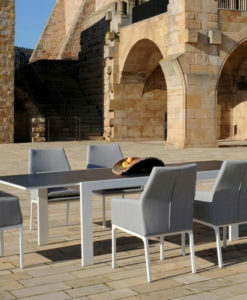 Impressive European design complete with club chairs, two or three seater sofas, coffee and side tables, coordinating bar and dining sets, plus decorative lanterns and planters, single chaises in teak or Batyline Ferrari mesh for quality and comfort. 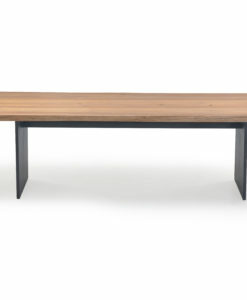 Dining table available up to 13 feet long!